Coordinate with Association office on what type of event and where and when/form task force to work on event. The Broker Committee provides opportunities for members from brokerages to gather, discuss current and future membership needs, and provide feedback and guidance to the leadership on issues pertaining to brokerages. The Bylaws & Policies Subcommittee will review and prepare Bylaws amendments that may be mandated by NAR or AAR, or suggested by the GVSAR Board of Directors, to be voted on by the membership. The Education Committee recommends courses and presentations that are pertinent to the industry and current trends for our membership's knowledge and growth in professionalism and financial success. The Education Committee also recommends new classes and curricula for REALTORS®. Oversees counting of ballots at annual election and reports results at annual mtg. Coordinates investments, financial reviews, yearly budget process. The Member Communications / Community Outreach Committee seeks opportunities to communicate and promote the value and role of REALTORS®. 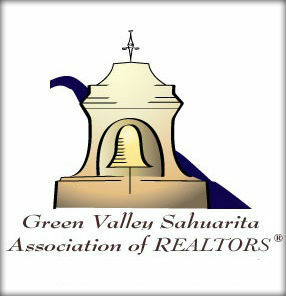 The Government Affairs Committee positions the Green Valley/Sahuarita Association of REALTORS® as a community leader and opinion-shaper as we seek to strategically lead the community on local legislative issues. Specifically, the committee is concerned with candidate evaluation and development, community outreach development, issues mobilization, lobbying, member political mobilization and education and RAPAC fundraising. Reports new members to Board. Meets every other month - DB & Managing Brokers are the members (participants). Weekly MLS meetings & speakers and coordinates MLS matters. The Recognition Committee selects annual award winners to be represented at the Installation event. The committee will be composed of a mix of Past Presidents and previous year’s award recipients. Coordinate all office captains/agent reps and all RAPAC contributions & pins. Attends meetings at TAR regarding Region 5 issues and collaboration. The Home Tour Committee organizes and promotes weekly Home Tours for members to promote their listing and buyer needs. Home Tours will be held biweekly. Works with board office and MLS provider on various issues. Point person for the Tubac EOM tour. Responsible in overseeing GVSAR web site information.